We can help whether it is for a one-time works or for a long-term infrastructure project. Griffon Alpha Group has long been involved with the construction industry for years. Griffon Alpha established long-term relations with many leading construction companies in Western Australia as a provider of reliable Labour for Hire. If you require a General Labourer for activities such as cleaning and moving objects around your site or a Licensed/Ticketed Labourer for more complex duties (e.g. Fork Lift,EWP or Hoist Operators, Crane Driver, Dogman & Rigger), Griffon Alpha Group can assist you in selecting the right professional for your project. Our highly trained and experienced Labourers are focused on safety and can perform the job even in tough working conditions. Griffon Alpha’s personnel are fully equipped with PPE (Personal Protective Equipment) and valid licenses to perform duties that meet the highest industry standards. Furthermore, Griffon Alpha Group provides Traffic Management Solutions and Traffic Control Services. We can help whether it is for a one-time works or for a long-term infrastructure project. We can come up with a Traffic Management Plan and Drawings for any type of project and obtain all necessary permits for the plan implementation. 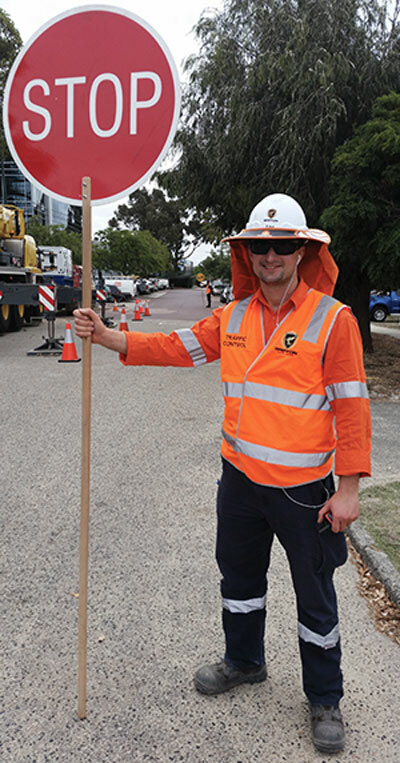 Griffon Alpha’s team of experienced Traffic Controllers are trained in using road equipment and to perform work according to the plan designed. Traffic Management and Traffic Control Services pose risks for both road users and those who perform the job. At Griffon Alpha Group, we treat this issue seriously as we understand the importance of each job. As such, we have a unique Traffic Management Plan as well as Health & Safety Policies and Standards set for our employees.